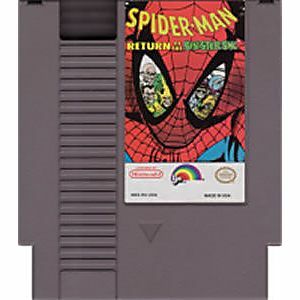 Spiderman Return Sinister Six original NES Nintendo Game cartridge only - Cleaned Tested and Guaranteed to Work! 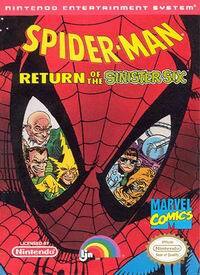 I fell that this game, in my opinion, would be one of the few LJN games that could be good. Not great, but playable. 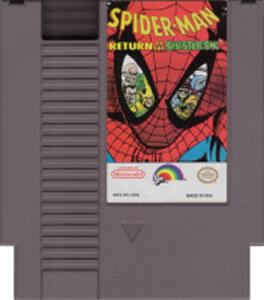 LJN was the scourge of the NES era. They ruined many great licenses from my childhood with crappy games that just simply don't work. The graphics are really bad and colors are horrible. The controls just do not work, and the sound is just abusive to the ears. I am a huge spider-man fan so this game was quite a dissapointment to a long time fan.